Following this poem, the whole class was suspended in order to build the “Pilgrimage to the West Palace”, the most popular theme park with sound, lighting & electricity in the 1990s. A selected area used a variety of means to build a package-themed scenic spot where lights are swaying, the entrance is flickering, the characters seem to be moving, tourists are coming to watch, buying tickets, and then shopping, having happily paid an expensive price to enter. Because the landscapes of such scenic parks are all artificially recreated, sculptures are often important. This brought us, as sculptors, a lot of opportunities and money. In those few years, the most ambitious sculptors, carrying their sculpture knives, went south and north, climbed up and down, and took advantage of the good opportunities to work. The Head of Department teacher paid tribute to us, and everyone was happy. The older generations used to say: “Women are afraid to marry the wrong man; the man is afraid of getting into the wrong career.” The career part of that statement was true for me. Sculpture had become very popular, and we had finally hit the jackpot in terms of career opportunities. When the course of urban sculpture changed from “city sculpture” to “food sculpture”, the clothing of the sculpture department also changed from junk suits to leather jackets. 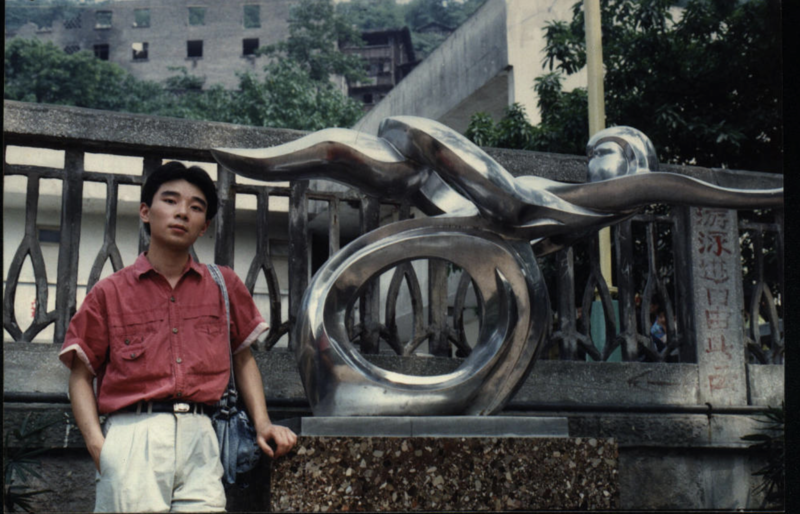 In my second year at the Academy of Fine Arts in Hangzhou, Sun Zhenhua and Zeng Chenggang made the first invitation exhibition for young sculptors in China. In those few years, the sculptures of the Zhejiang Academy of Fine Arts were very strong, and they won many awards in various exhibitions across the country. This was the first unofficial academic exhibition and group of seminars in the sculpture industry. Four teachers from Sichuan Academy of Fine Art participated. Upon returning, they were very excited. I remember that evening; we were asked to sit on the outdoor platform on the first floor of the teacher’s building. Those teachers were dashing through their speeches, their body language showing their excitement; their faces were like gold powder, half-bright and half-dark against the sunset. For a while, it didn’t feel like a sculpture conference, more like a scene from a martial arts competition. Finally, everyone was in agreement that we would endeavour to start a revolution for Chinese sculpture over the next 10 years. 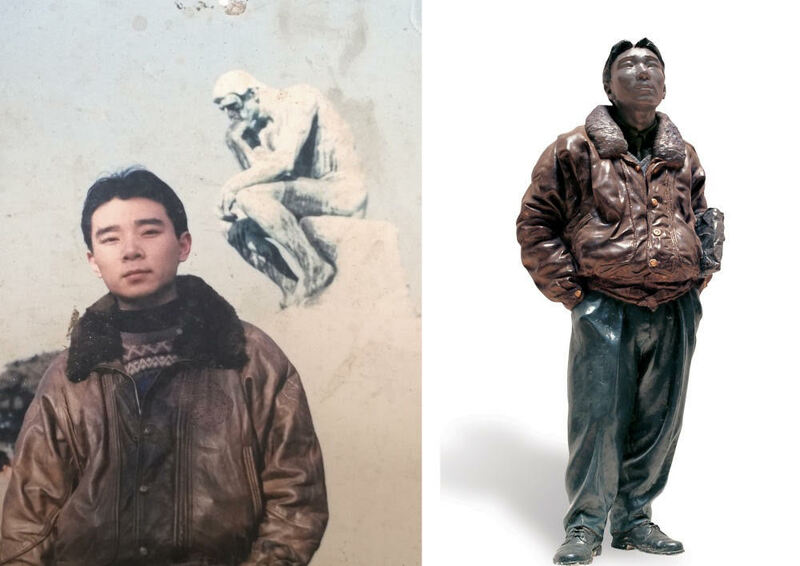 The most impressive outcome of this exhibition was the emergence of a group of super realistic style sculptures, such as “Guan Yuan Spring Snow” and “Standing People”. There were really cool! The sweeping of the classical and the so-called “themes” and “meanings” accumulated in the sculptures. Although the problems with Chinese contemporary art and the state of sculpture were still misplaced, changes had begun.